A lot of our landlords are taking our property management service. Residential landlords in Dubai are getting increasingly flexible in their terms and pricing, going by what leading real estate brokerages in the city have to say. 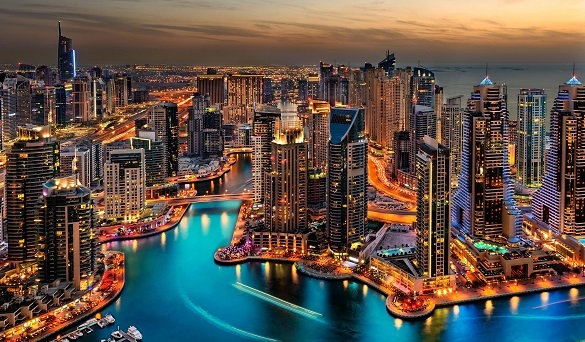 The burgeoning supply of units in Dubai has given more choice and confidence to tenants to explore more options and cheaper rents upon lease renewal. Landlords are slowly accepting the new reality and are open to negotiations with their tenants. “Landlords are flexible when it comes to the number of rental cheques. The norm for the number of cheques is between one to four. However, there are no incentives given by landlords as yet,” says Yash Shah, sales director, Aurum Real Estate. Although four to six cheques is becoming a more common occurrence, it’s not available on all properties and sometimes a tenant will still have to pay one cheque. Very few globally recognised cities, however, require a tenant to pay an entire year’s rent in advance. “Multiple rent cheques shouldn’t be looked at as a bad thing from a landlord/investment point of view. It’s how a healthy property market should run and at the moment, it’s how they can get an even greater return on their investment. A lot of our landlords are taking our property management service. This is attractive to tenants as they know that someone will always be on hand in case of any issues. Our managed properties rent more quickly than non-managed units,” explains Lewis Allsopp, CEO, Allsopp & Allsopp. “To distinguish their property in a competitive environment, some landlords are even prepared to include the first month rent-free,” observes Nick Grassick, managing director, PH Real Estate. While a tenant in Dubai has always had the opportunity to renegotiate upon renewal, landlords today are more susceptible to those negotiations. With a lot of choice and deals in the market if you are willing to look around, tenants can cite these factors while negotiating with their landlords. “However, I wouldn’t be disheartened as a landlord. If you are flexible on the amount of cheques you will take, you can still get excellent returns on your properties. I think an important message to get across is that if you have a good tenant, you should be accommodating with them as they are worth a lot more than just the rent,” Allsopp points out. Landlords who are pragmatic and realistic on pricing and cheques are not facing long void periods on their properties. “Landlords are having a longer gestation period. This is why there is more flexibility in renting terms and prices. After all, every day you rent late, you’ve lost out on your annual return on the property or portfolio,” says Sanjay Chimnani, managing director, Raine & Horne Dubai. Landlords are also advised not to instruct as many brokerages as possible to find a tenant for their property. It is key for an owner to research the market and listen to sensible marketing advice from an industry specialist. Despite the one-off instances of families downsizing, most brokerages cite examples of residents moving to more desirable communities, which in recent years they may not have been able to afford. This is possible courtesy a softening in rents over the past 12 months. “People in Dubai’s freehold areas are more flexible to move locations based on the rents on offer than people who live in Bur Dubai and Deira who would like to stay in their comfort zone,” adds Chimnani. “More and more tenants are considering areas which have traditionally been looked at as being ‘too far out’. Many people are realising that there are some excellent communities, some fantastic properties and great deals. The road infrastructure has developed so much over the past few years that these ‘far out’ communities are not very far at all,” Allsopp points out. Several families are using the rent softening to upgrade to townhouses and villas for a better lifestyle and amenities. Agents cite Mira, Sports City and Motor City as communities where tenants can currently grab good rental deals. “You will get more for your money if you are closer to the main areas, namely Downtown or the Marina/JBR. As a result, though, in areas such as Downtown, the Marina, Emirates Living, Arabian Ranches and so on, you can get relative bargains. What I mean by this is relative to what you would have been paying a couple of years ago. It’s all down to what a tenant wants, a relative bargain with the location and established community or more for your money a bit further out,” says Allsopp.